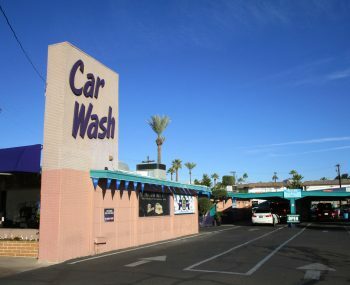 Los Olivos Hand Car Wash is an iconic business in Phoenix, know for over three decades as a completely hand wash and dry facility. Owner Coletta Spurling says, “It’s been tough the last couple of years being a small business owner. The $3 and $5 car washes have really hurt me. And then when in January the minimum wage went to $10 an hour, that was a big hit.” After struggling to keep her business open for years, Spurling finally saw that the numbers just wouldn’t add up, and she decided to close down and sell her lot.